The Nike Air Zoom Vomero 14 takes responsive cushioning to the next level. A full-length Zoom Air unit works with Nike React cushioning to deliver a super snappy, smooth ride. Up top, the sleek design is engineered to support your stride. I love these shoes! Definitely one of, if not the best pair of running shoes over ever owned. The sole is responsive enough for hard workouts, yet cushioned perfectly for longer runs. My longest run thus far is 7 miles and they were great. I enjoy them on trails, treadmill, road, anything. My only complaint is I wish my heel could be locked in a bit better. Runners knot helps and there’s no slippage really. But a little more locked in would be nice. The tongue is short just a warning, but it isn’t a negative, it’s actually still very functional. I’m a forefoot runner and these are still great for it. I love this shoe. 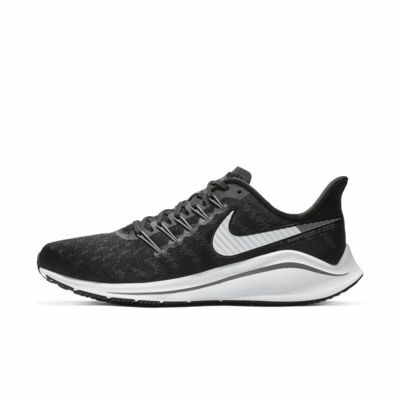 As a Track and Field/cross country coach, I would highly recommend this shoe. Just watch that zoom air unit!!! Took delivery of my Vomeros a couple of days ago. On first impression they felt great and I took them for a 6 mile run. After some adjustment with the lacing I managed to pin down the comfort. I took them for a hill rep sesssion yestersay only to find I was getting some pain in my left foot only, something I didnt experience with other nike trainers Ive used (Structture 21 & 22) - I found that the zoom air unit in the left shoe (only) was sticking up/protruding so much that it was pushing uncomfomfortably into my forefoot. 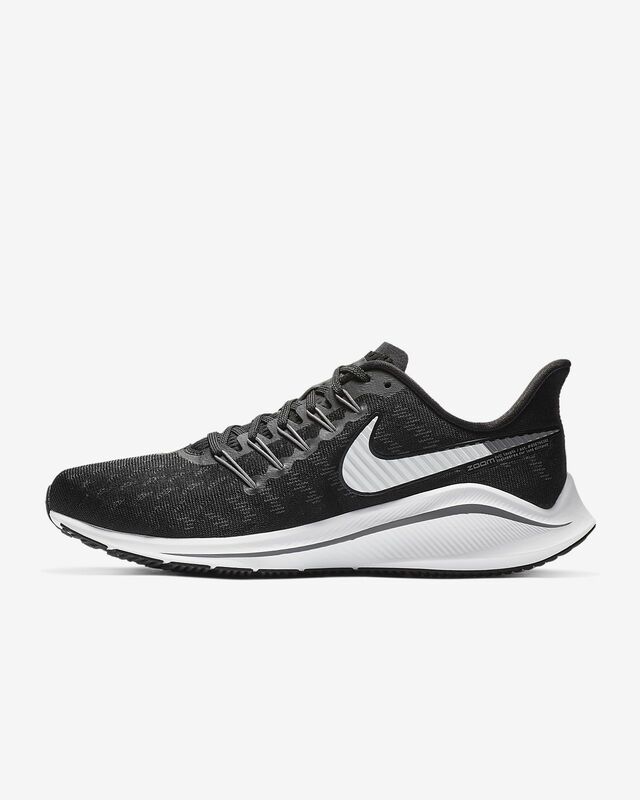 I have contacted Nike and sent the shoes back for exchange as Im hoping this is a manufacturing flaw and not a design floor as this wasnt the case with the right shoe which felt great under foot. With any luck the replacements will be AOK - fingers crossed as i really want to like these shoes!!! I love that Nike designers have provided a better color choice for those of us who wear wide and extra wide shoes. Like many I agree that the color offerings for wide feet could be a bit brighter not so dull. I mean how much black can you have in the mix? Midsole is radically comfortable with more spring back than any other recent new products. My suggestion: use this material for other high-end shoes. Tounge is shorter than other Nike products. What’s with that? Shoe has very subtle cool design features like like printed on the tounge which you almost miss. Swoosh is also tweaked with trims that are totally new. In the end, the shoe is simply comfortable, great for long runs and short runs as well as walking. Simply put: its very 😎 cool! Go buy it and Nike will have to your doorstep in three days!